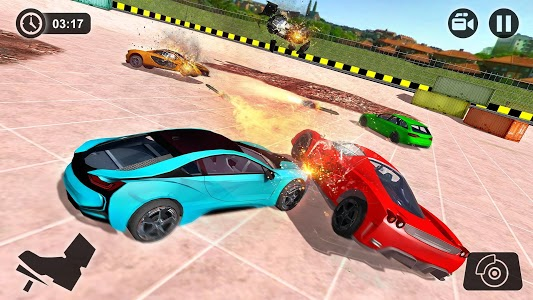 Do you love Online Demolition derby car games in an extreme car crash stunts arena? If yes then welcome to new Demolition Derby Car Crash Stunts game of 2019. 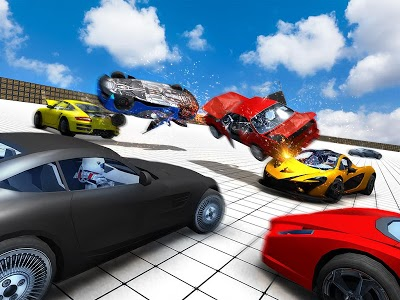 As a fearless stunt driver, you have to drive your derby cars to demolish the crashing cars and perform extreme car stunts in open world danger racing environment. There are four derby race modes for Derby Car Crash Stunts 2019 game that includes both multiplayer and offline derby stunt racing. 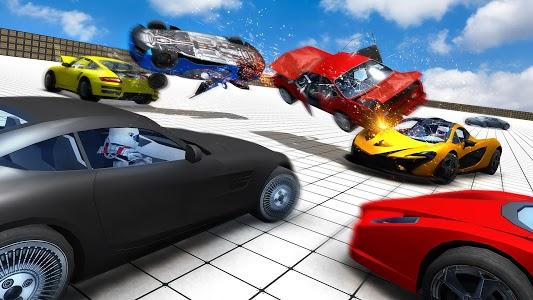 Multiplayer demolition derby driving against real-life players. 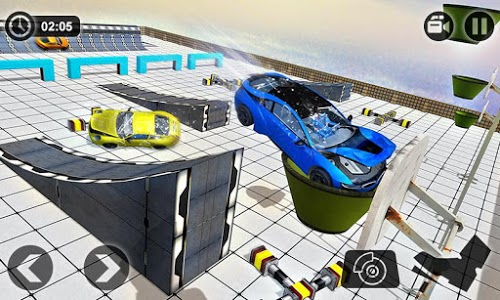 Fire to smash fast car racers from around the world in real-time multiplayer demolish derby challenge. 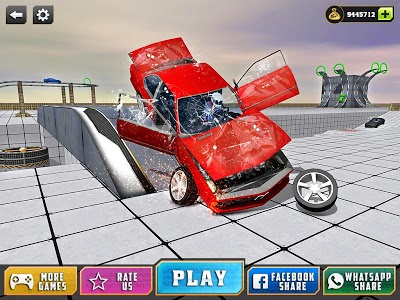 Prove your car destruction skills in wreck-fast demolition derbies. 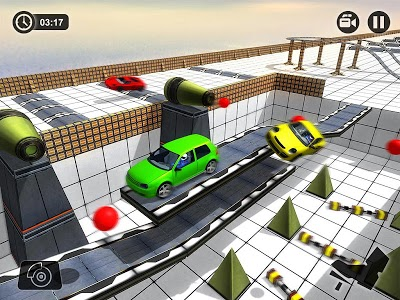 Jump right into the deadly demolition mania and thrash your opponents. 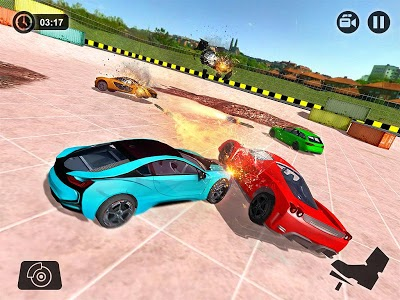 To win the car battle, drive the weaponized vehicles to knockout, destroy, damage and demolish reckless cars by firing missiles and smashing hits. 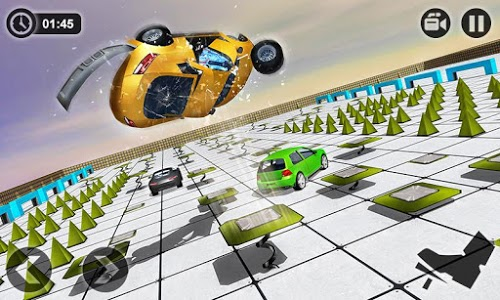 Perform some serious stunts to survive in the most stimulating stunt arena. 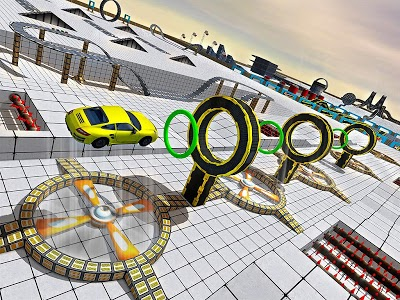 To master the stunts drive through treacherous fiery hoops, deadly propellers, and colossal ramps. 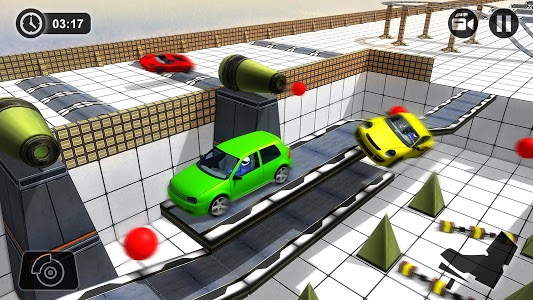 Control your speed while facing the car crusher obstacles. 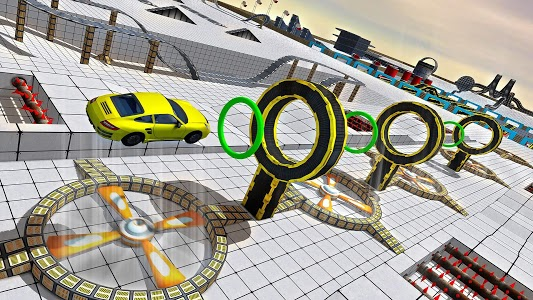 Select the sports cars and make sure you perform each stunt as good as possible. 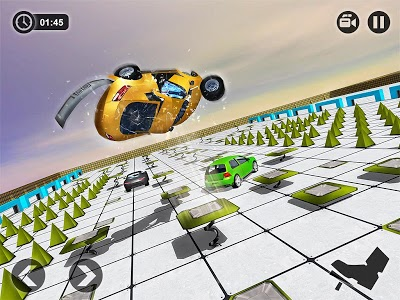 Try to clear all stunt levels to become stunt master. 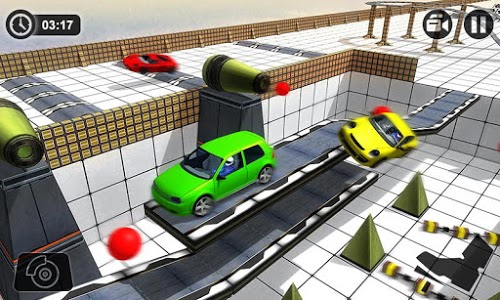 Race vehicles in an open world environment that is full of crashing and destruction obstacles. 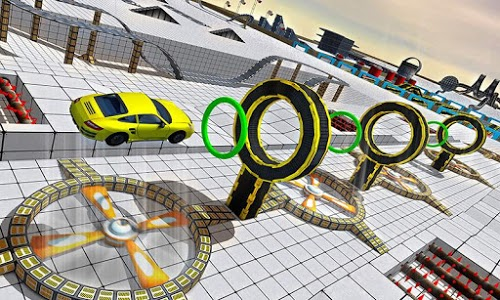 Drive super muscle cars in realistic simulation arena to perform high jumps and tricks on the air. 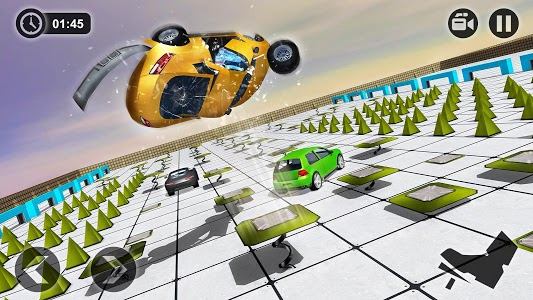 During crash of cars avoid the car crushers otherwise the car engine will be damaged. 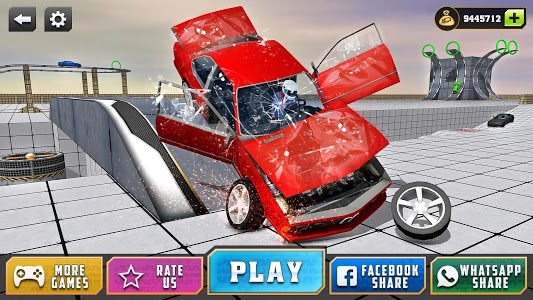 Test your rig's durability with collisions and destructive spikes. 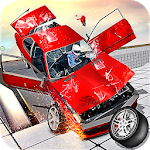 Crazy stunts to perform with the extreme addiction to racing stunts. 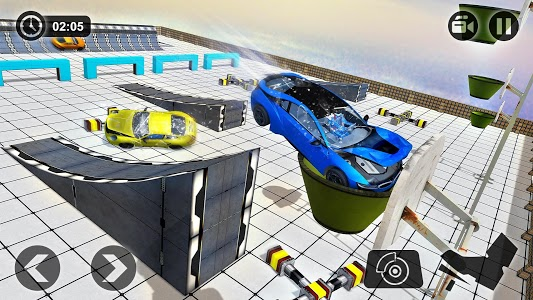 Press the race paddle to accelerate and brake paddle to slow down. 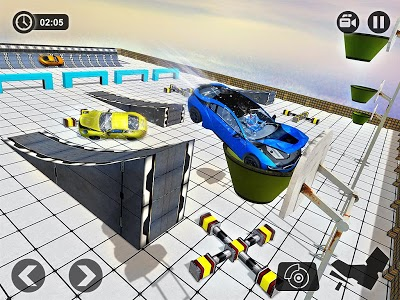 Amazing driving car experience in derby racing mania to master deadly obstacles like crushers, mid-air ramps, destruction balls. 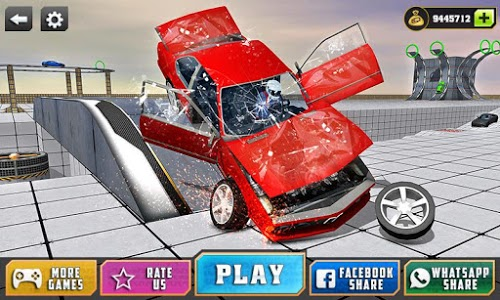 Similar to "Derby Car Crash Stunts"